My favourite colour is red. It always has been. 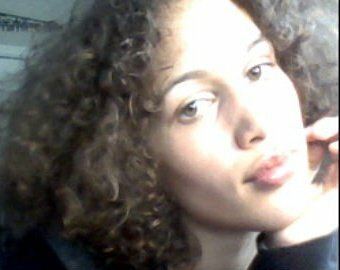 My hair has always been curly, and my eyes have always been hazel. I am not a science experiment, or some new invention. Don`t introduce me as if I am some new species you have discovered. To exploit one aspect of who I am to the magnitude of a flying pig, reduces every other ounce of my body. Do not refer to me as “the lesbian”. I would even rather to be referred to as “curly”. We focus far too much on what sets us apart, and we seem to find a sense of entertainment within these facts. I feel like a celebrity. There seems to be a feeling of constant shock and slight discomfort everyone feels after all of my actions. The always minding watchful eye. The bouncing words that do back-flips all over my attention-bruised body. The people who suddenly think that their own lives have changed in some way, that feeling as though they are also “coming out of the closet” as activists for gay rights. Or those few special people who still believe homosexuality is a disease, and all of the boys who feel they have just the cure for me. The first moment after my great confession, my life had become a quick losing game of twenty questions. “Have you ever had a crush on me?” “When did you know?” “I’ve kissed a girl. Am I bisexual?” “So you only like girls?” And of course my personal favourite, “Aren’t you too young to know?” Well, to all my fellow human beings, I ask you this: Just how young do you have to be to know how to smile? It’s something that natural. Surprise! “Meet my friend. She’s straight,” I say. I wait patiently for a reaction that I will never get. Is it because being straight is so common, that we feel no need to flaunt or label it? Breaking news! Sexuality is flaunted every day. On the streets, on T.V., in books for all ages. The boy falls in love with the girl. And here are my girlfriend and I, minding our own business, and we get this big sticky piece of paper stuck to our foreheads labelled – GAY. I am proud to be who I am, but shouldn’t everyone be? And yes, part of who I am is who I love, but does that mean I have to shave my head, pull on some boxers, and start grabbing on girls while I chant out the colors of the rainbow? This is my life, labelled REILLEY. Instead of this big rule book on which label I fit under, I would be much more satisfied with an instruction manual. Then I could just call people out by the colour of their shirt: “Hey, turquoise! You busy after class?” Or better yet by the style of their hair: “Extensions! Streaks! Do we have rehearsal today?“ However, I could never imagine the words, “Hetero, what`s up?“ coming out of my mouth. I guess that’s just one of the many things that separates us rainbow chasers from the rest of civilization. That, and the fact that we bleed glitter. Labels. It’s the timeless story with no ending. The constant battle until we figure out the secret to life as we know it – labels are for cans, not for people. So I walk today with my head held high, and you may look at me as whatever or whoever you want. Because at the end of the day, my favourite colour is red. It always has been. My hair has always been curly, and my eyes have always been hazel. I am not a science experiment, or some great new invention. I am a woman, and I love other women. And that’s just another small piece of me, in my life labelled – REILLEY. what a powerful article, great work, inspiring! Reily, What a great article. You have so much wisdom for your age. You are paving the way for many. Keep up the good work. Aside from the fact that I personally agree wtih your viewpoint, regardless, this is an exceptionally well-written article!